World Digestive Health Day is a worldwide public health campaign held on May 29. The event is coordinated by the World Gastroenterology Organization (WGO). Each year, the awareness campaign focuses on a particular digestive health issue. World Digestive Health Day (WDHD) was inaugurated in 2004 and first held in 2005. 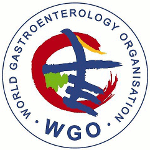 The date of May 29 was chosen because on this day in 1958, the constitution of the WGO was adopted during the first World Congress of Gastroenterology. The organization was originally named the Organisation Mondiale de Gastroenterologie (OMGE), it received its current name in 2006. WDHD is aimed at raising public awareness of prevention and treatment of common digestive disorders. Member organizations and individual members of the WGO are encouraged events and activities dedicated to the current year's theme. These events include (but are not limited to) meetings, conferences, congresses, symposiums, seminars, media campaigns, panel discussions, awareness camps. In past years, WDHD focused on proper nutrition, helicobacter pylori infection, viral hepatitis, irritable bowel syndrome, inflammatory bowel disease, enteric infections, common GI symptoms, liver cancer, gut microbes. But there still are many issues to cover.